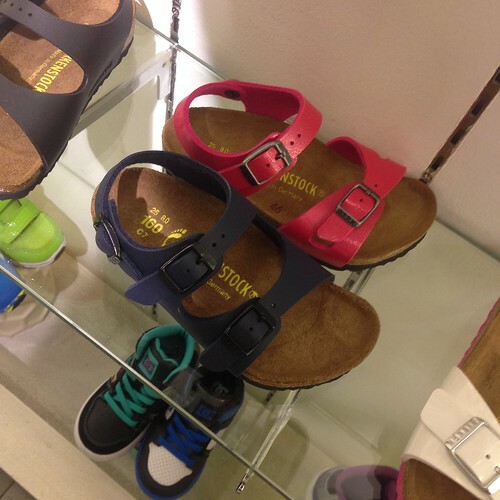 Mandals and Birkenstock were the craze of 2014. Were you one of those who fell for this brouhaha? I am! And late last year, I've been on the lookout for a pair for both my kids. 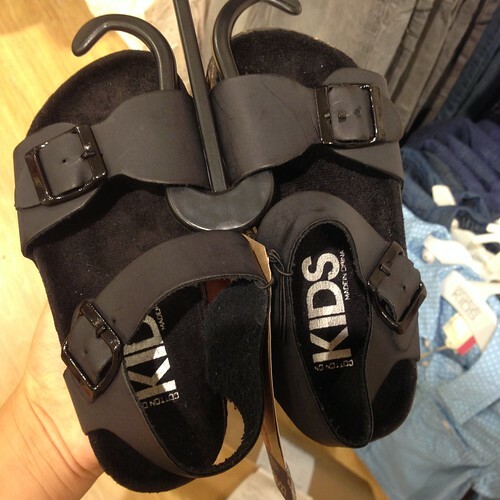 First up, Birkenstock! 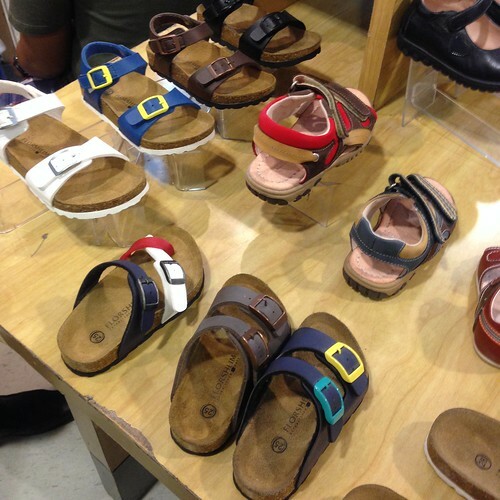 I was able to check out Res Toe Run last November and saw Birkenstock for kids! I jumped up and down in excitement until I saw how much it was. 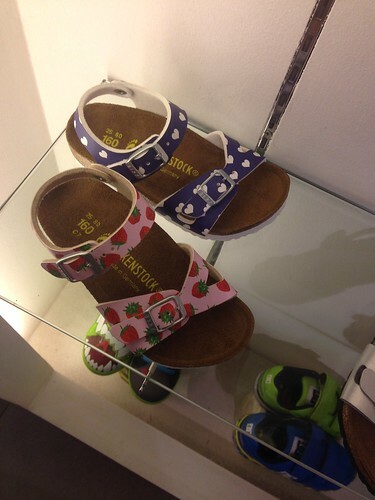 How cute are those Strawberry Printed Birkenstocks! It was way out of the budget. Huhu! My heart was breaking as I put back those cute cute tiny Birks. 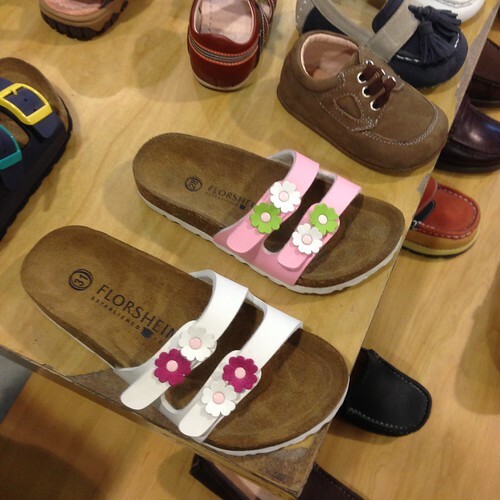 Then I chanced upon Florsheim Kids at SM Department Store. 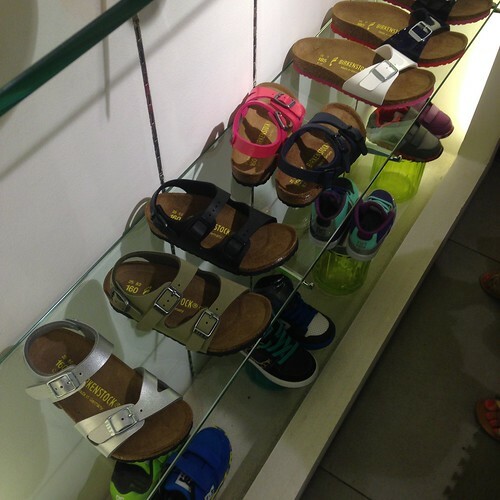 Price was pocket-friendly at Php1,500 or more a pair. But their smallest size is still big for R. Why does R had to have the cutest feet? Hihi! Didn't buy for Y anymore that time because she had so much shoes na. 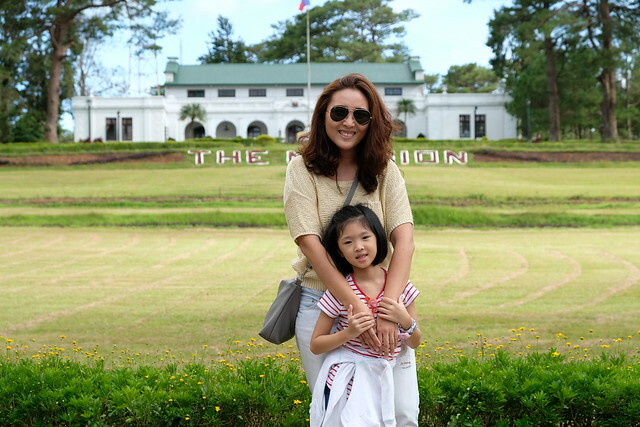 When I went to the province last Christmas, I went to SM to have some me-time (read: shopping). And whenever I am at SM, I always make it a point to check out Sugar Babies and Tough Kids at the Shoe Section. You should do! 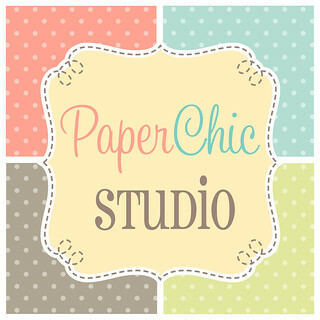 They always have nice selections for kids plus it's comfy and really affordable. None for boys sayang. But the search is not over! And last but certainly not the least, Cotton On Kids! 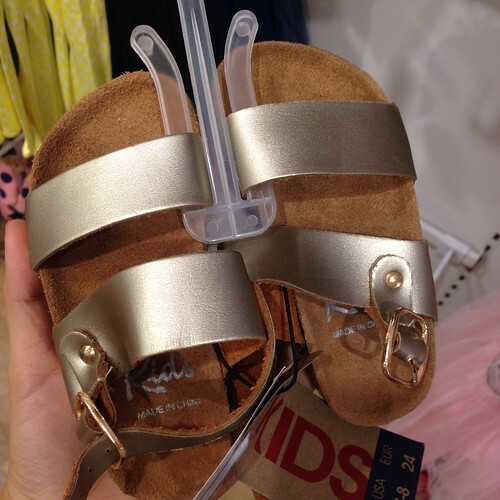 They probably have these mandals and Birkenstock-inspired sabdals but I only got to check it out last week. Price is okay too but sizes were broken na. The search is not over! I've yet to check H&M Kids and I'm hoping Tough Kids will make one for boys! Do your kids own a pair? Share naman where you got them!